When your equipment fails, it is essential to keep downtime to a minimum. LTE employs a nationwide team of qualified engineers with access to full technical backup. Our repair and emergency breakdown service is available to both contract and non-contract customers. As part of our comprehensive service package, LTE offers breakdown cover. Response times can be customised to individual customer requirements. For our customers who have a service contract, we offer a discount on parts and labour on breakdown repairs. Our engineers carry a stock of routinely used spares and LTE carries a comprehensive stock of spares at our factory in order to reduce downtime. All parts used are manufacturer guaranteed. In some instances, an upgrade to existing equipment can be of financial benefit to customers. 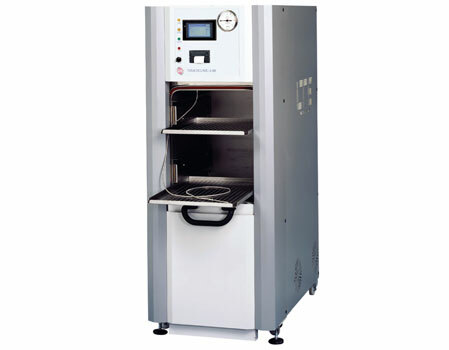 For example, the vessel of an autoclave can often outlast other elements of the equipment such as software and other mechanical parts. As a manufacturer LTE employs its own team of mechanical, electrical and software designers, along with production staff comprising of coded welders pipefitters and electricians etc, so that any upgrade or modification is carried out by qualified staff. Our team is available to discuss your requirements and budget. We will offer impartial advice based on the age of the equipment, and whether an upgrade would offer best value. Upgrades can be carried out at customer’s premises or at our factory.